Wonderful chap…. all of them. When a story appeared online in VARIETY recently, announcing that David Yates (director of the last four HARRY POTTER movies), was working with the BBC to turn DOCTOR WHO into a movie franchise, there was chaos in the WHO community. With such anxiety-inducing quotes as “Russell T. Davies and then Steven Moffat have done their own transformations, which were fantastic, but we have to put that aside and start from scratch…,” fans were immediately predicting doom and gloom. Well, most fans were. Some clearer heads prevailed. Some people pointed out that talk of a WHO movie had been circulating for years and there was nothing to indicate this would finally be what brings the project to life. Sure, the presence of a director with four megahit films on his hands was a good sign, but there’s tons of stuff that the likes of Steven Spielberg and Ridley Scott have started developing that didn’t get off the ground. There’s no script, no star, no schedule and until those things materialize, no need to worry. But, you know, even then, I won’t worry. It’s troubling that the decision has apparently been made to more or less “forsake” the TV show and re-imagine the franchise when the movie version comes out. I would have much preferred something like what they did with the X-FILES, when they released a feature film while the TV show was still at its peak. The movie became an extension of what already existed, taking into account the established mythology, using the established actors, and supplementing what is already known, but not making attendance of the movie crucial to continued viewing of the TV show. When Russell Davies went to reboot the show in 2005, it was shrouded in secrecy. The number one fear among fans was that it would be a re-imagining, jettisoning the show’s forty-year history and continuity in favor of “starting from scratch.” As the reboot with Christopher Eccelston unraveled, we slowly learned that, yes, the continuity was (more or less) being maintained. We didn’t learn this all at once. Davies teased us, revealing small but vital links to the show’s rich history. (He waited two years just to use the word ‘Gallifrey.’) Eventually, fans were put at ease. But now Yates, who already has a reputation for rewriting the Harry Potter mythos to suit his very particular filmmaking needs, is eyeing the franchise and making no bones about wanting to start fresh. And, again, there’s uproar. But I’m not sure it’s needed. What many of the more recent WHO fans (those who came onboard with the 2005 reboot) may not realize is that this wouldn’t be the first time DOCTOR WHO was made for the big screen. During the ‘60s, while the Daleks were at the very nadir of their fear-inducing popularity, two films were made that featured the misfits of Skaro and Peter Cushing as ‘The Doctor.’ Those fans interested in canon generally disregard them. There’s nothing that links them to the show’s “official” history as established on TV. This, if nothing else, shows that a movie franchise can exist separately from the TV show and still allow the TV version to flourish. Personally? While I’m a diehard fan, I’m not convinced the franchise as a whole has the chutzpah to hit in a mainstream way that will be lucrative for Hollywood. ESPECIALLY if you’re forsaking the established history. WHO has always been somewhat of an underground hit. It’s only in recent years that it’s gotten some mainstream cred. I just don’t know it’s enough—with or without a noted director behind it—to take off in Hollywood. This is, of course, an older and wiser Brian speaking. Ten years ago, I might have suited up and gone to war over this. Nowadays…? Meh. What are ya gonna do? on November 21, 2011 at 6:36 am	Comments Off on Wonderful chap…. all of them. Sometimes I feel special. Like I belong in a very exclusive club. Like just because I read, I’m that much more ahead of the game compared to so many people. It’s like getting to be one of the cool kids before that which is dubbed cool becomes universally recognized. 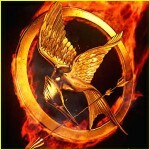 The movie trailer for THE HUNGER GAMES set the interwebs on fire today. Lots of excitement about it. LOTS. Which is good. The little we saw looked to have the right tone and feel. While some online denizens balked at the casting choices (Actual quote from months ago when the casting was announced: “He can’t play Peeta. HE’S NOT BLONDE!”), I have a feeling that if they nail the movie as the trailer suggests they did, all (or most) will be forgiven. At first, I was really sad that it took a movie trailer to get people interested in the books. David Levithan was recently quoted as saying that you have to think of the movie as a two hour commercial for the book. Makes a lot of sense. And if the trailer inspires people to pick up the books, more power to Suzanne Collins. But I can’t keep from smirking just a bit smugly. Because I got there first. I bought HUNGER GAMES the day it was released. I’ve known for a few years now that these books were special. I was one of the cool kids. And now many are aspiring to be as cool as me (OK, maybe not, but you know what I mean). Children’s books are becoming more and more of a bellwether to pop culture shifts that are felt beyond the targeted audience. Forget the phenomena of Harry Potter. That’s a perfect storm that we likely won’t see again in our lifetimes. But I feel several waves of pop culture patterns can be traced back to children’s books. A little while ago, my husband mused that with shows like ONCE UPON A TIME and GRIMM tapping into fairy tale mythology, it wouldn’t be long before we started seeing it in YA books. I got to gleefully tell him that YA was years ahead of the recent spate of fairy tale nostalgia. Modern twists were cool in YA before Hollywood came along to do their take. So, please non-readers, ooh and aah at the movie trailer (it really does look pretty nifty) and threaten to toddle down to the bookstore to get one of them book thingies people are talking about. I’ll just continue to toil as someone you don’t yet know is cool. Then, once you figure it out, I won’t be cool anymore because you’ll appropriate it as your own. But that’s fine. You know why? Because I keep reading. And I know what you’ll love before you do.